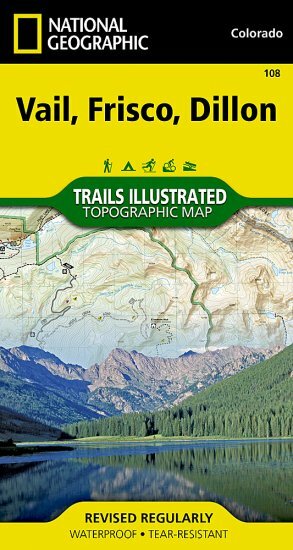 Trails Illustrated Colorado Series Vail / Frisco / Dillon [ti108] - $10.95 : Trail Explorers Outpost, Keeping the Adventure Alive! 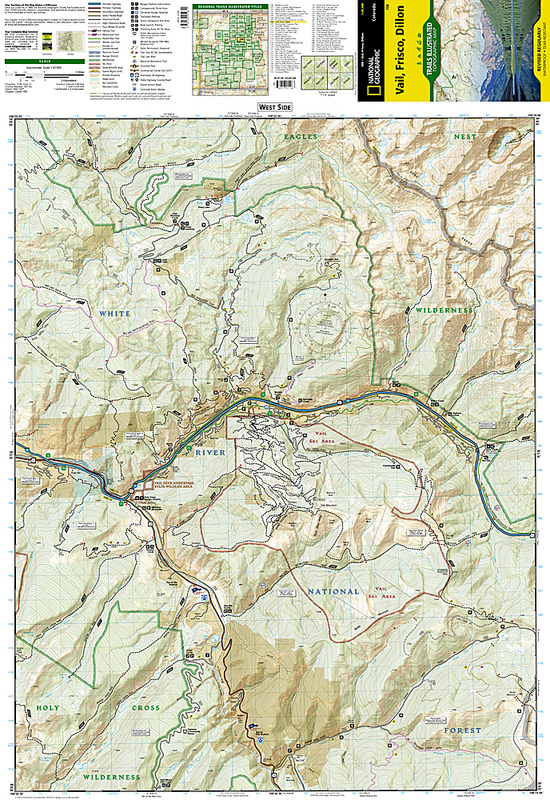 The Vail/Frisco/Dillon Trails Illustrated map is the most comprehensive and complete recreational map for one of the most popular recreational destinations in Colorado. Coverage includes the White River and Arapaho national forests, Eagles Nest and Ptarmigan Peak Wilderness areas, Redcliff, Minturn, Vail, Silverthorne and Frisco. Also includes the Dillon Reservoir, Eagle and Blue rivers, Willow Lakes, Tenmile Canyon National Recreation Area, Shrine, and the Vail, Silverthorne, Ptarmigan, Red Buffalo and Uneva passes. Ski Areas covered include Copper Mountain and Vail. 10th Mountain Huts: Shrine Mountain Inn. 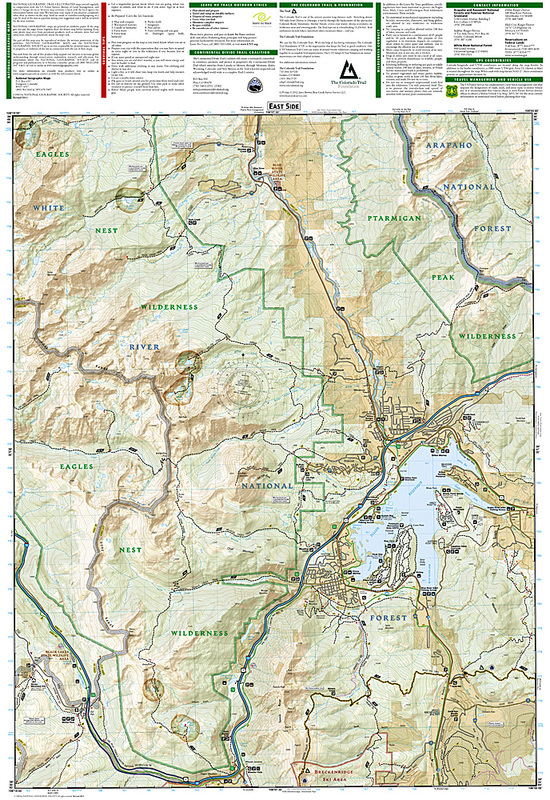 Portions of the Continental Divide Trail and Colorado Trail are also covered. Scale = 1:40,680. 4" x 7 1/2" (folded). Waterproof, tear-resistant.